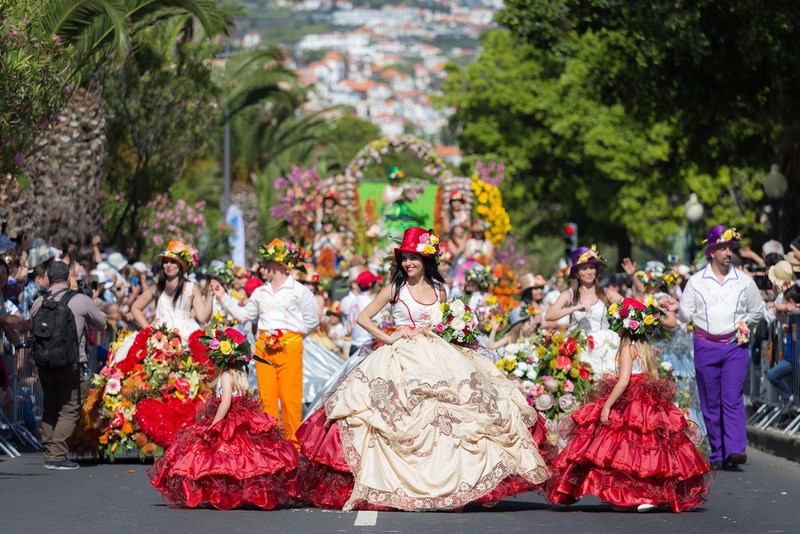 Madeira has long been popular with British and other international holidaymakers. It has winter warmth, stunning flora and countryside and plenty of flights from the UK. It’s a friendly island too, with a wide range of leisure facilities and a gorgeous capital city, yet all in a slightly more relaxed atmosphere than some Portuguese locations. But what of Madeira property? What will you pay and where should you be looking? We have all the answers. 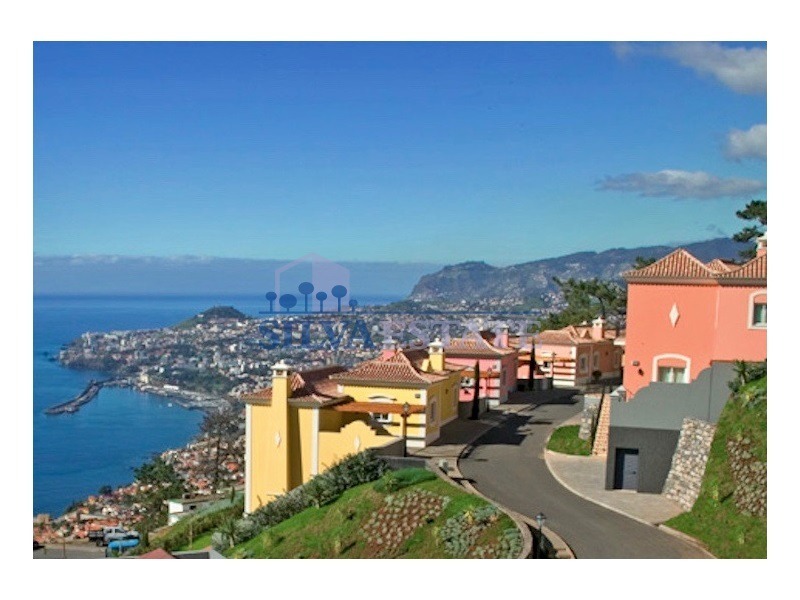 The most sought after areas are Funchal, Caniço de Baixo, Garajau and the south coast. Funchal is the largest city and capital of the autonomous region. It’s known for its culture and long seafaring history, but appeals to the senses too. Indeed the name Funchal comes from the word “fennel”, as this was once the fennel-growing capital of the world. Settlement in the city began in the 15th century, and it became an important maritime port. As a major tourist town, there is so much to see and do in and around the city. This includes the Laurisilva forest, the largest surviving area of laurel forest in the world. Take a gondola from the lower section of the capital city to the popular suburb of Monte, and from Monte to the Botanical Gardens. Here you’ll find a bird park and the Natural History Museum. Wherever you purchase a property, inside or outside of the city centre, it’s likely to cost significantly less than its equivalent in the UK. If you look in the rural areas of the island, you will that life is even cheaper. Portugal property in general tends to be surprisingly affordable. The Algarve, for example, is much cheaper than some of the popular areas in other countries. But what of Madeira property? Silva elaborates: “In Funchal, you will need a budget of around €250,000 plus taxes for a two-bedroom apartment. A one-bedroom apartment will be at least €150,000 while town houses and villas can be found from €350,000.” Not so cheap then, but there are more affordable options: “Cheaper properties can be found in other areas, such as in the mountains or farther from the sea. These are generally not in the areas that international buyers look, but, for example, you can buy a one-bedroom property in Caniço for €80,000”. This is higher in the hills but still only a few minutes from Funchal. This two-bedroom apartment with a private balcony has fantastic views to the sea, harbour and Bay of Funchal. It is available for €256,500. Click the image to take a closer look. This three-bedroom villa has a private pool from which you can gaze over the Atlantic Ocean. It’s in the village of Arco da Calheta in the beautiful west of the island. Click the image to get a closer look. If you would like to meet a property expert from Madeira (without the expense of a flight! ), email info@youroverseashome.com to get your FREE ticket to Your Overseas Home in Chester in June. While the towns and resorts tend towards apartments, on the south coast there are plenty of houses available. “These start from around €200,000 for a little rustic house, and rising to €400,000 or more for a villa with swimming pool.” If you have the budget, more upmarket areas include Sao Goncalo, Santa Maria Maior, Sao Martinho, Arco da Calheta and Calheta. In these areas, three-bedroom houses go for as much as €900,000 and you’re unlikely to get far with a budget of under €400,000. Madeira’s southerly location means it has a balmy climate all year around. Like the Canaries, it’s off the coast of north-west Africa, but slightly closer to the UK. It is similarly popular with holidaymakers and tourists in the winter months – a winter sun location with no jetlag and a very low crime rate. (Great news if you decide to rent out your Madeira property). EasyJet and Jet2 fly to Cristiano Ronaldo Madeira International Airport from various UK cities, with a flying time of around four hours. Yes, the world’s once-greatest footballer, and England’s bete noir, comes from here. Given the popularity of Funchal’s harbour and port, it is also quite common to access the country by ferry or cruise liner too, although this would take a while! Much like in mainland Portugal, you can enjoy a high quality of life for much less than in the UK (or indeed, most of northern Europe). You may find that the less traditional items are more expensive if they have been imported from other countries, but on the other hand, the costs of food, running a home and even getting around the island are very reasonable. According to Numbeo, you’ll pay around a quarter less for general consumer prices and 43% less in restaurants. Having said that, some of your shopping basket could be more expensive, including meat and cheese. Entertainments will be cheaper, including joining the gym or playing tennis or seeing a film. Walking in the winter sunshine marveling at the flowers, is free. 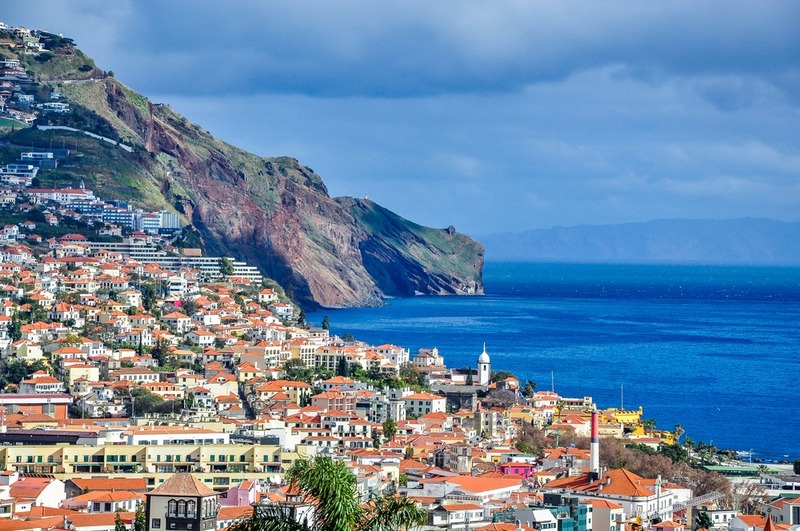 If you are ready to buy in Madeira, you’ll need to change your pounds to euros. For advice on doing that, read the Property Buyer’s Guide to Currency. Wherever you choose to live on Madeira, you can explore the rest of the island easily. The island is only around 100 kilometres across its widest part. Journeys may sometimes take longer than expected due to the roads, however, and it takes around four hours to circumnavigate the whole island. Although the infrastructure is generally excellent, the roads here are narrow, with many hairpin bends along the north coast. It can take a bit of practice to get used to the roads, but there are plenty of buses (if not a railway line). Your typical fare in Funchal is around €1.15, although rides further into the rural areas will usually be more expensive. In Funchal you can purchase tickets for trips anywhere at any of the newsstands in the centre of the city. You can also travel around the island by taxi. Wherever you choose to live on Madeira, you can explore the rest of the island easily. In addition to these traditional forms of transport, you can also explore further using a more interesting mode – the cable car. These lines run from Funchal to Monte and back again, offering fantastic views of the mountains and everything else. There is also the option of catching a toboggan back down the hill! Another interesting form of transport can be found in Faja dos Padres on the coast of the island; this is usually inaccessible by land. You can reach it using a giant cliff lift – which is essentially an enormous glass elevator that navigates a 350m sheer drop. This is perhaps not for everyone! Madeira is certainly working hard to dispel its slightly fusty image. This luxury villa is the height of Madeiran (and Portuguese) luxury and sophistication. Priced at €840,000, its position close to the centre of Funchal ensures it will have sensational rental appeal too, for 52 weeks of the year. Click on the image to take a closer look. 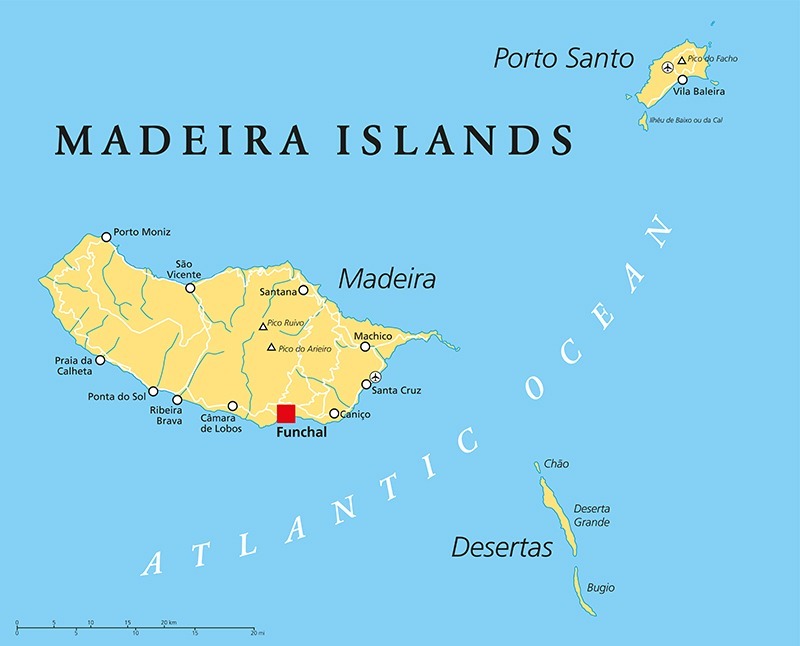 In addition to the island of Madeira, there is another habitable island as part of the archipelago. Porto Santo has many of the benefits of Madeira, including schools, good shopping areas and healthcare facilities. But it is smaller and the properties are less expensive, for now. It is possible that this may change as it becomes more and more popular. 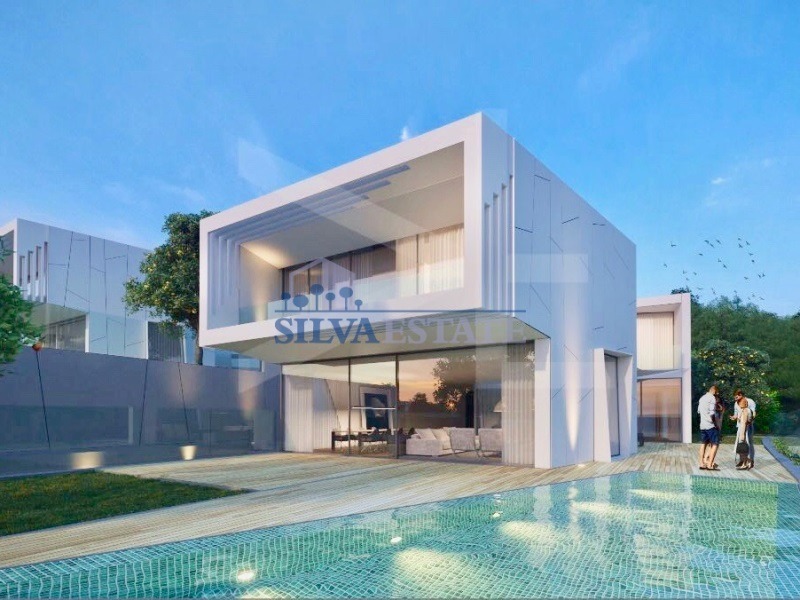 This is an excellent option for a property renovation, although there are several apartment developments here too, including the main one Vila Baleira. All this, and we haven’t even started talking about the drink!